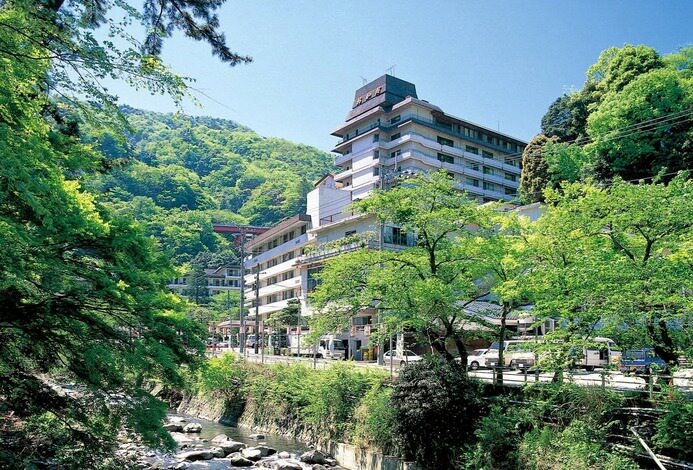 Auberge Yuraku is located in the resort district of Yugawara, just 2 hours from the capital. A chef who trained at Italian restaurants displays his masterful skills in the fusion of creative Italian cuisine and Japanese cuisine. Generous amounts of local ingredients from Yugawara, a treasure trove of fresh produce, as well as fresh seafood caught in the nearby seas are used in the making of these dishes. Enjoy some superb items that you won't find anywhere else. 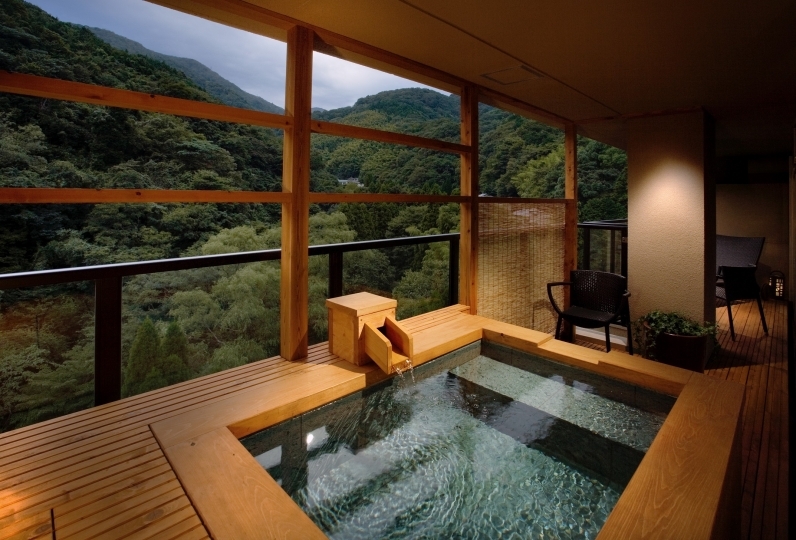 When you've satisfied your hunger, take a dip in the natural hot spring bath. 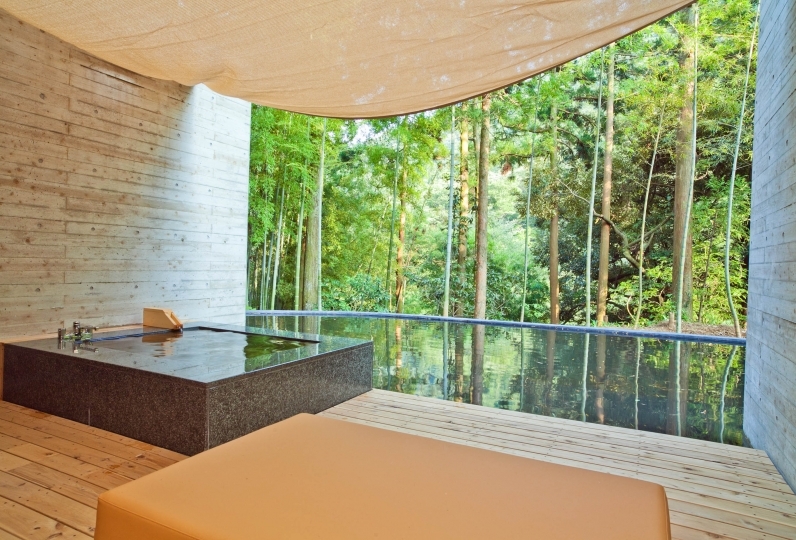 The view from the open-air bath surrounded by bamboo forests form an extraordinary sight. 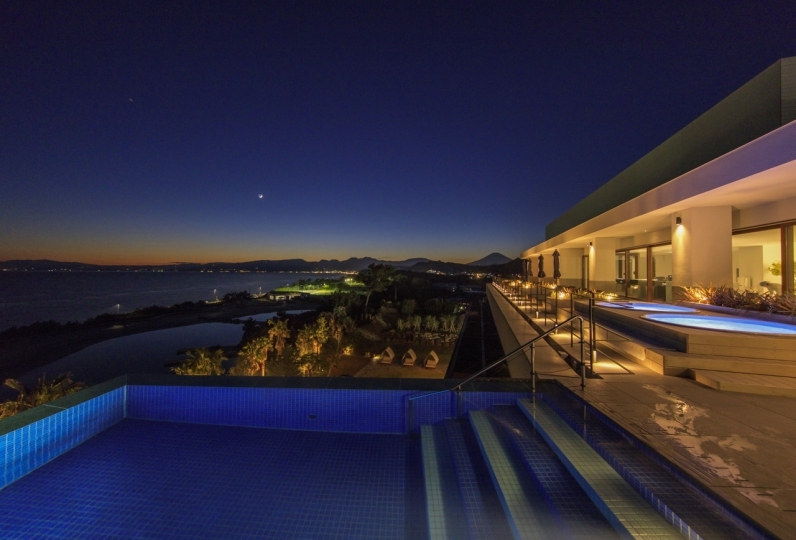 Why not enjoy a stay with that special someone and lose yourselves in the passage of time? 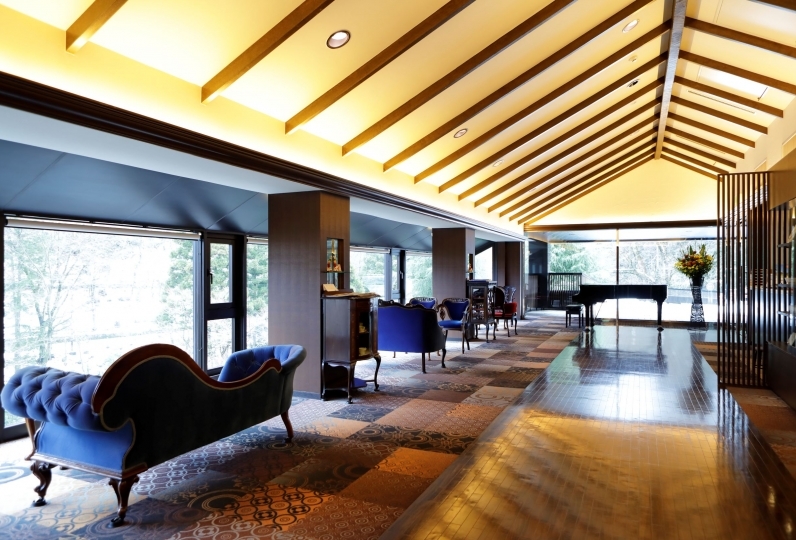 After having enjoyed a very comfortable hot spring with Yugawara 's chill, I read a book while drinking coffee at the library, unwind the cori with a massager, and the room was comfortable and relaxing in the Western - style room. After receiving a delicious Italian cuisine and wine (Prosecco was happy), I had a good break even for a large and large bed, but in particular, the hottie was warm and my heartfelt was delightful. I'm afraid I can not take the time quite, but I am also looking forward to seeing you by creating opportunities. Thank you. It was a very nice vacation that room water spit many times with source sinking. 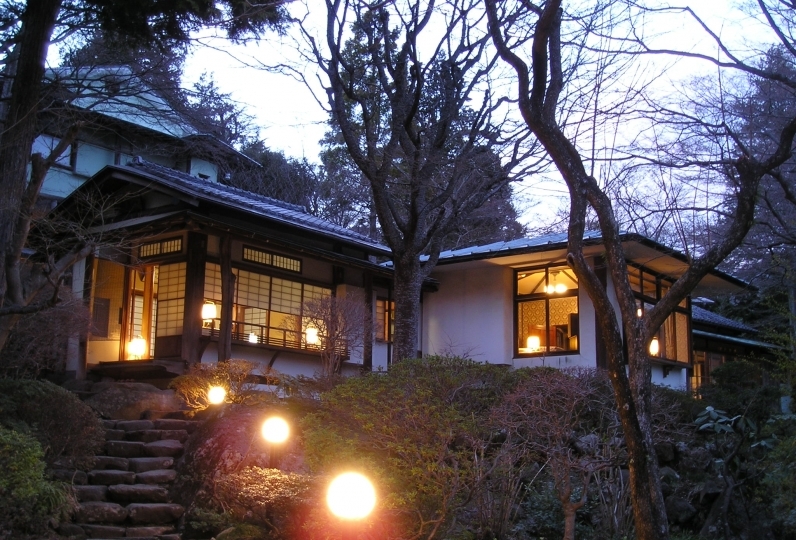 Auberge Yuraku has a reputation as a lodging with a strong focus on food. 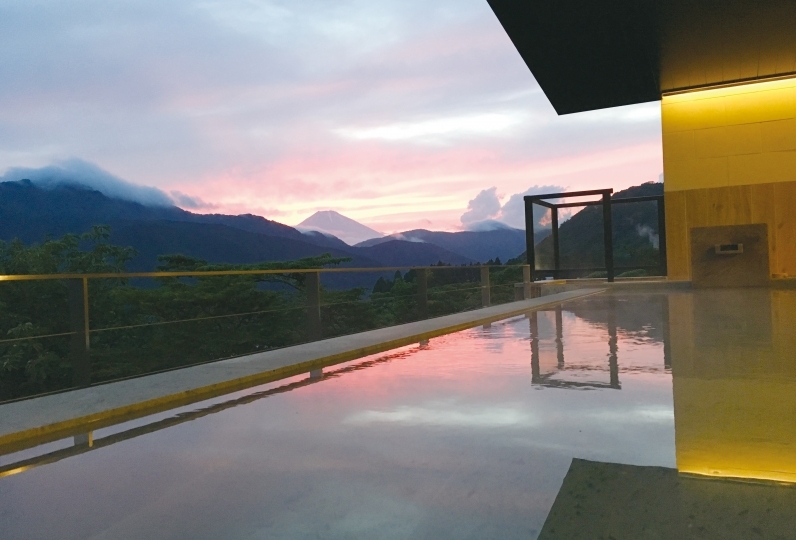 Ingredients such as organic vegetables directly procured from the local Mount Izu farmer Taniguchi, and fresh seafood caught in the nearby seas are transformed into fusion courses with the skills and inspirations of the chefs through Italian and Japanese techniques. The menu changes monthly, and the ingredients vary depending on what the specialist farmer has on offer at the time. Enjoy a cuisine that you can only enjoy in that moment and time. 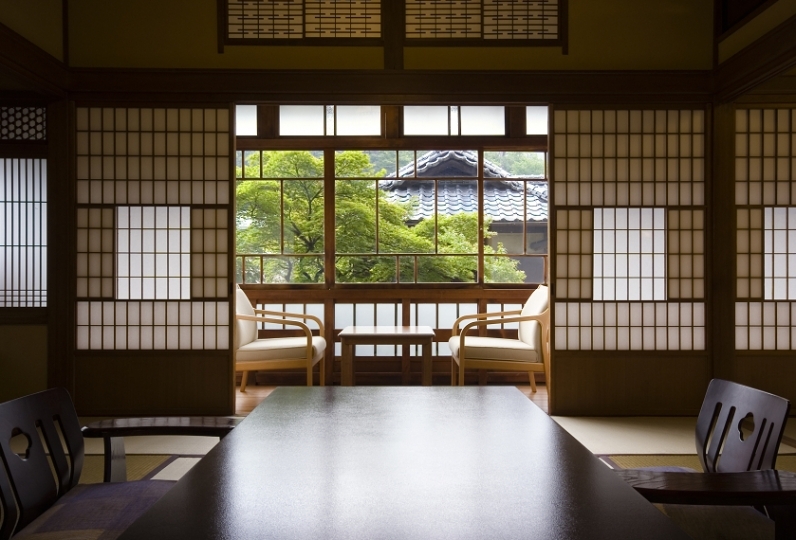 Hotel guests can attend meals in their yukata. Relax and savor the healthy and expertly prepared cuisine. 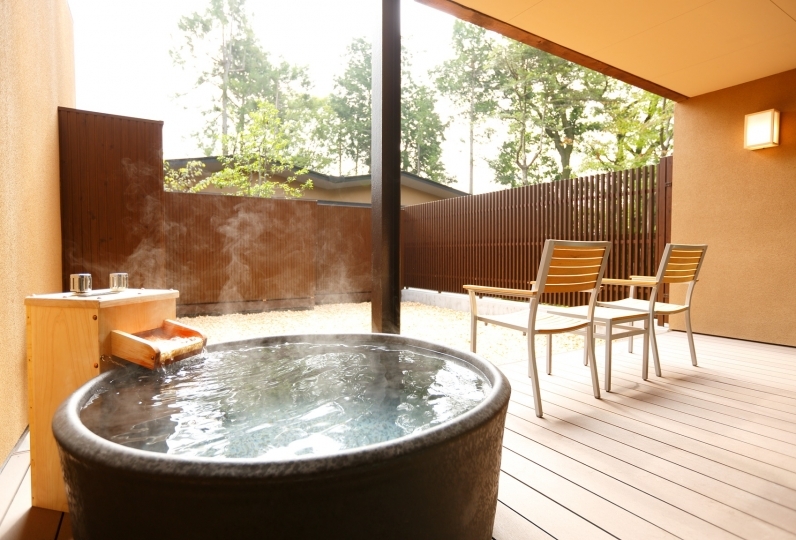 Natural hot spring water is used in their numerous baths, including the private open-air bath. 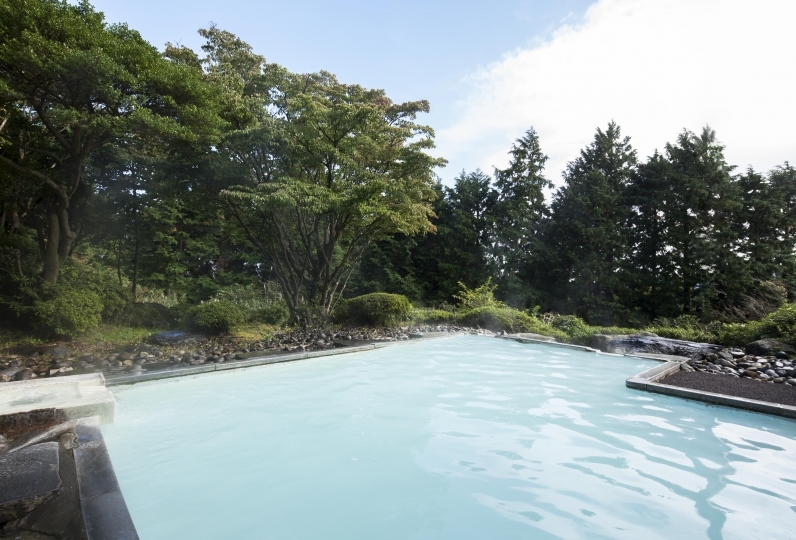 The hotel's own hot spring source produces 70 liters of water every minute, totaling 100 tons daily. The water temperature is adjusted according to the season and weather by cooling as needed. The water of Yuraku is said to be addictive, once you experience it. After your first time you'll find your skin to be smooth, and your body nice and warm. 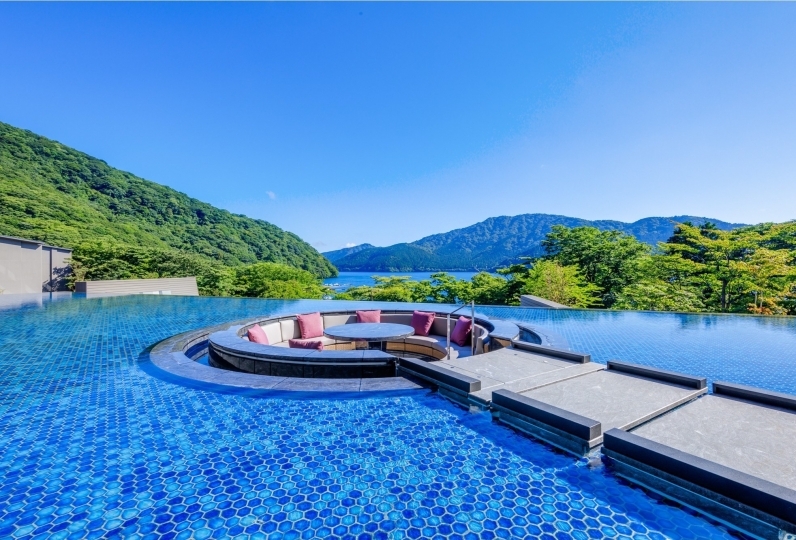 There is a library at Auberge Yuraku, so that guests can reflect on their travels and find out more about the local area between their meals and onsen trips. Valuable publications relating to Yugawara, travel photo books, and a quiet space. 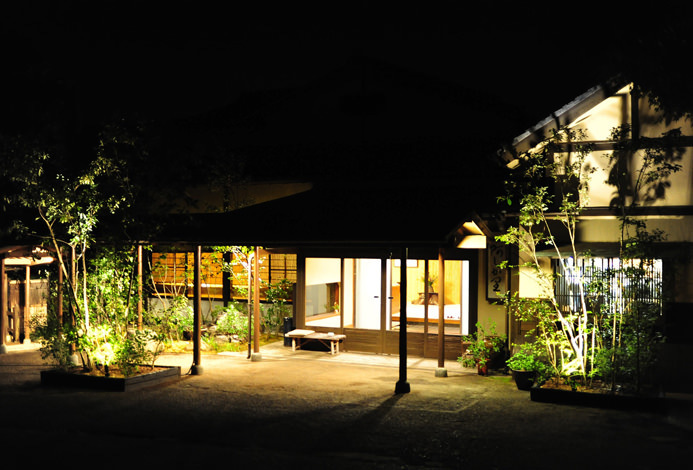 Whiling away the time by listening to the sounds of the wind is another way to enjoy Yugawara. The library is free for guests. As the lodging was built to adapt to the sloping land formation, there are no elevators in the building. The lobby is on the first floor, and the guestrooms on the 2nd, 3rd and 4th. The floor on which your room will be depends on the room type, so please inquire in advance if you have any concerns. Around 7 minutes by taxi from Yugawara Station to the lodging. By Bus: Take a bus bound for Fudo-taki/Oku-yugawara from Bus Stop 2 of Yugawara Station. Alight at Fujikibashi Bus Stop, and it is a 2-minute walk from there. Turn right in front of Fujiki Bridge. There is a steep incline at the end, but it is a short walk to the hotel.